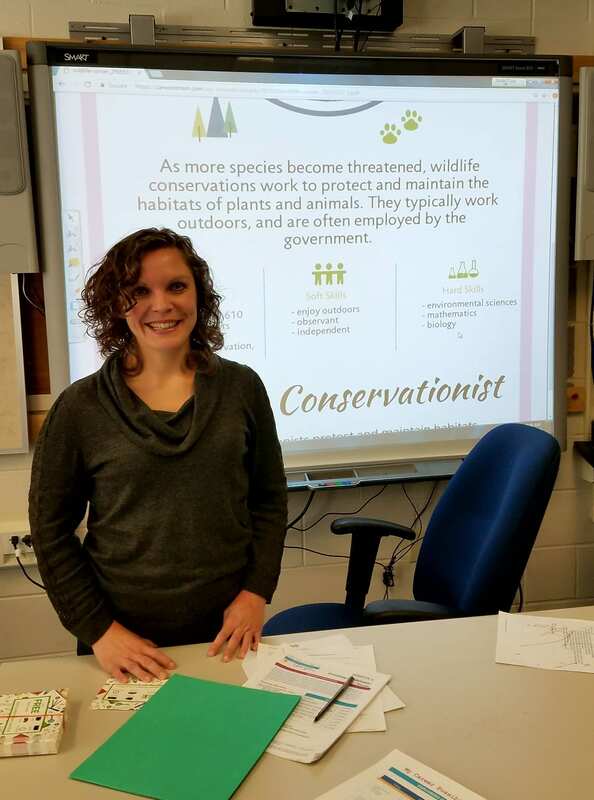 I started Career In STEM in May of 2017 out of the frustrations I experienced as a science teacher in Hartford, CT. My students had no idea what they wanted to be. And think about it – how do you know what you want to do until you have DONE it? The truth is, you won’t, and I couldnt find a good way to help my students learn about STEM careers – before they graduated – so I made one! In just a year and a half the Career In STEM site has grown to over 5,000 visitors daily, the majority of whom come back to continue exploring. As a teacher, naturally first step was to create games, posters, and lessons for other teachers to use in their classrooms. Today our store contains over 150 resources used in over 7,000 classrooms across the USA and abroad. I feel that Career In STEM is at the right place at the right time. We have built a solid reputation as a the leading provider of STEM career information, helping to boost student engagement and interest as proven by numerous surveys. At the same time, STEM related employers are dealing with a leaky STEM pipeline, struggling to fill more than one million available jobs. Our next business milestone is to bridge the divide that exists between school and work through the development of online tools to connect students, educators, companies, and providers. We are starting with the STEM Job Shadow Finder, coming online by spring 2019. Thank you so much for being part of the journey with us! Founder Ashley Pereira leading a workshop for Willimantic Soroptimists at Windham High School (CT). 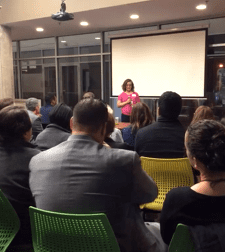 Ashley Pereira presenting the Career In STEM vision to a group of investors and community members in Hartford, CT.
Career In STEM is a registered Minority/Small Business Enterprise in Connecticut, and is an approved vendor for the New York City Department of Education. working for the greater good in STEM education since 2012. Career In STEM is an active member of the STEM community locally, regionally, nationally, and abroad. Below is a small sample of meaningful contributions to the field. We are proud to partner with a diverse network of collaborators to bring quality STEM education and career development programs to students throughout the USA. In India, Career In STEM is affiliated and administered in collaboration with the India STEM Alliance.